Jilly joined AES as part of our September recruitment drive. Her varied and interesting CV made her a must interview candidate. Previously a Hydrographic Surveyor, Jilly sailed the seven seas, processing data to create high quality charts for the Oil and Gas industry. Jilly also worked with the Forestry Commission, leading conservation volunteer groups across the Blackdown Hills. Jilly is currently training on SAP 2012, learning about the intricate interaction of materials, build set-up and building services which all go into producing a SAP assessment. What skills help you in your role as a Graduate Sustainability Consultant? The most important quality needed for my role is an attention to detail so that a high-quality assessment can be produced. Secondly, to be able to interpret architect’s drawings, an ability to work from 2D drawings and be able to visualise the 3D space is extremely useful. As well as these skills, it’s also important to be able to work well within a team, ask questions and to be keen to continue learning in a constantly changing industry. What are the key qualities a Graduate Sustainability Consultant should possess? What career advice would you give someone in the early stages of their career? Some people TALK a good job, some people DO a good job. Be the latter. Utilising your local Devon knowledge, where do you suggest for a good walk? If the sun is shining, Sidmouth. Walk up Jacobs Ladder and go to the Clock Tower Café, they serve the biggest slices of cake you’ve ever seen. 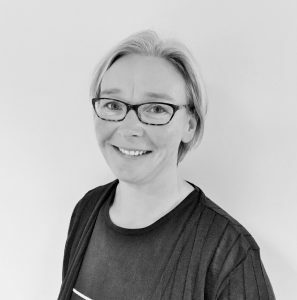 Jemma started with us in September as a Technical Administrator, a new position here at AES. 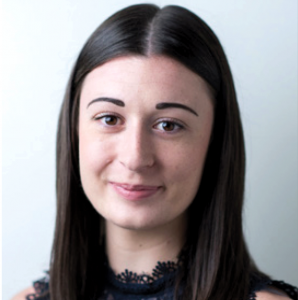 Jemma previously worked many years at Ashfords Solicitors, as an equity release assistant, from her previous role Jemma is bringing her good timekeeping, organisation and initiative skills to our team. If we could describe Jemma in 3 words, they would be; Diligent, Ambitious and Practical. When Jemma isn’t at work, she enjoys cycling along Exeter quayside (preferably in the summer months) listening to Justin Bieber, that’s when she isn’t getting her hands dirty, knocking down walls in her house that she is currently renovating with her husband. We are very pleased to announce our inclusion in the 2016 / 2017 Parliamentary Review. We feature “alongside some of the most impressive organisations in property today” to highlight the potential performance gap between design and as-built stages. Please click here to read the article in full.